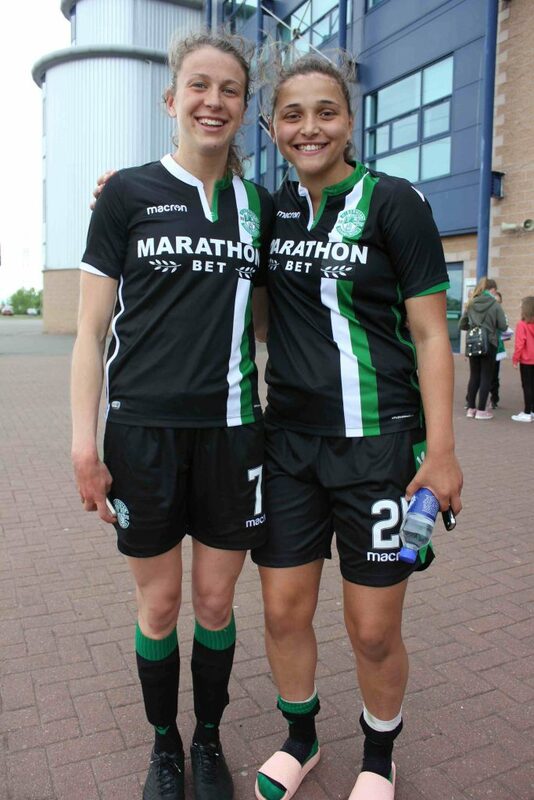 Hibernian ran out 9-0 winners over Celtic in the Scottish Building Society SWPL Cup Final at Falkirk Stadium on Sunday 20th May. 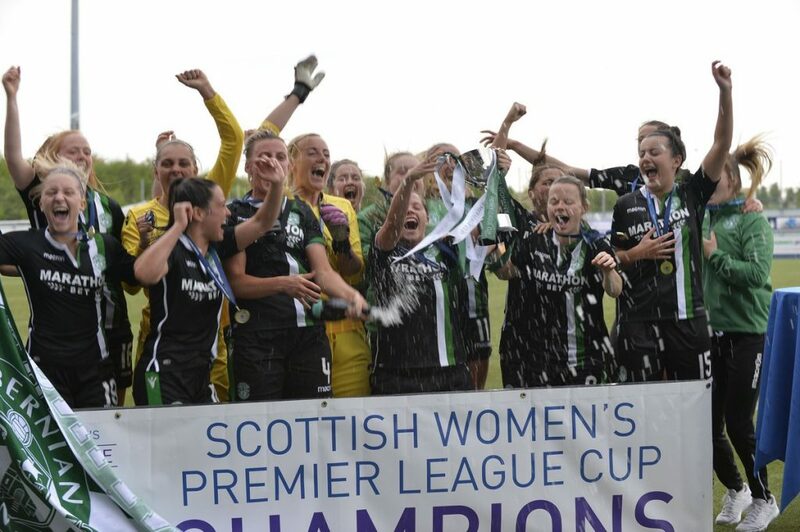 “It doesn’t get any better than that really,” purred Hibernian coach Grant Scott after his side overturned Celtic 9-0 on Sunday to win their third Scottish Women’s Premier League Cup title on the bounce. It was hard to disagree: Hibs had just clinically taken Celtic apart, with hot-shot Lizzie Arnot on fire at the Falkirk Stadium as she unleashed a whopping five goal salvo. Teenager Ellis Notley had set Hibs on their way with a peach of a volley after just seven minutes, and it was effectively game over for Celtic once an Arnot brace and own goal from Kelly Clark made it 4-0 with less than half an hour gone. There was no let-up from the Edinburgh side in the second half though, as goals from Shannon McGregor, Kirsten Reilly and three more from Arnot made it nine without reply. Hibs had most definitely clicked on the expansive Falkirk pitch and Scott said the game had gone to plan but that his side would not get carried away after lifting the first piece silverware on offer this season. And while it was a bitter pill for Celtic to swallow, particularly as they lost to Hibs 4-1 in last season’s SWPL Cup final, the squad showed their class when they applauded the victors during the trophy presentation and Haley will look to them to bounce back.